Goal: our mission is to teach individual in our services to achieve their personal goals and objectives. We believe it is important for every individual to be successful in every social and economic environment. We serve children and adults who have a qualified diagnosis, behavior issues, and/or persons with diagnosis such as traumatic brain injury, ADHD, Autism, and related disorders. When an individual is not eligible for any of the qualified insurance companies, we do accept private pay. Please contact us to see if your private insurance coverage is accepted. Behavior Health services are provided in a variety of settings such as the outpatient center, after school programs, community or in the work environment. Ability to safely communicate and interact with others. 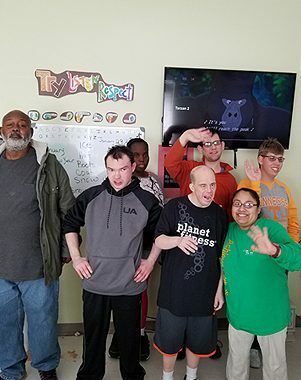 Our Vision — One day people with intellectual and developmental disabilities (I/DD) will participate as full members of their communities, throughout their lives. Our Mission — Provide the opportunity for hope, growth, and change to people with I/DD in our community. Stay informed about all of the exciting news and events going on with the Arc of the St. Johns. Enter your email address below and we will be sure to add you to our email list so you don’t miss out on anything!